Our current Facebook feed. Like and Follow us to see current Tampa fishing adventures & photos. Welcome to Old Florida Adventures Fishing Charters. 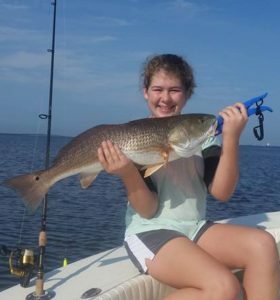 We’re a Tampa fishing guide service specializing in Tamp Bay inshore fishing charters. Clear waters, beautiful mangrove shorelines, and lush grass flats are abundant here. Tampa bay is home to multitudes of small islands, countless creeks and coves, and large expanses of grass flats. Due to the healthy and diverse ecosystem, Tampa Bay offers some of the best fishing around. Great Tampa Fishing, Great Captain! 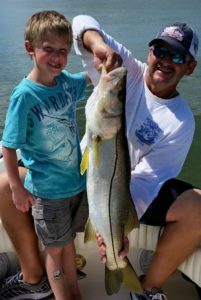 If you want to fully experience the great fishing Tampa Bay has to offer, why not go out with one of the areas best Captains. Captain Kevin Little has 35 plus years of fishing experience. He grew up fishing the pristine Tampa Bay flats for trout and flounder, along the mangrove lines for redfish and snook, and coastal and bay waters for snapper, tarpon and many other species. He knows what it takes to put his clients on fish so they leave with great memories and food for the table! From Bean Point off Bradenton Beach to the inter-coastal waters of Clearwater, Capt. Kevin will put you on fish in Tampa Bay! Whether a group of friends or a family vacation, come aboard with Captain Kevin Little for an Old Florida Adventure! Call Captain Kevin at 813.763.0024 if you have any questions before booking your next Tampa fishing trip.